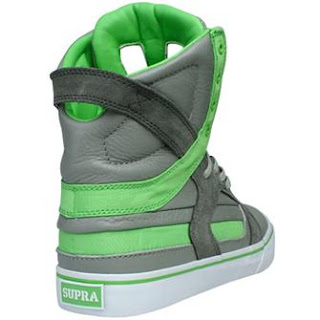 The Supra Muska Skytop II Shoe in Limited Green-Lime-Suede finish. 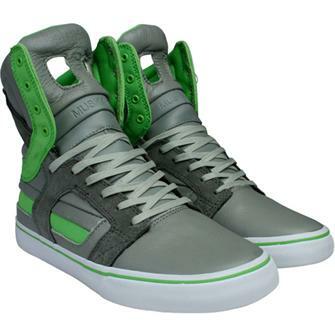 The Skytop II is a streamlined second generation of the original Skytop silhouette. Brand new Chad Muska Signature Supra Shoe. 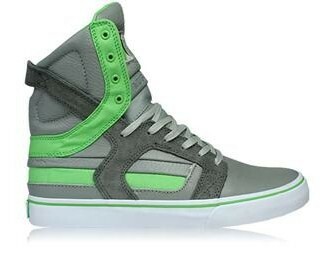 This is the Supra Muska Skytop II in a Limited Edition, Green-Lime-Suede finish. Streamlined second generation Skytop on a vulcanized outsole. Distinctive tongue design with 2 pull holes + Wax laces. Heel protection molded into high memory polyurethane sockliner. 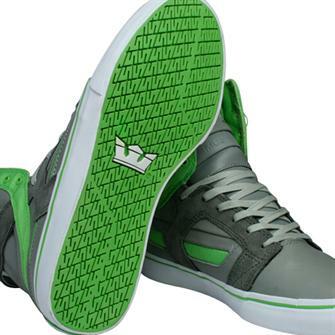 Exclusive Supra- Foam midsole providing entire foot impact resistance, optimal shoe flex, and board feel. Internal neoprene sleeve for unmatched comfort, fit and performance.